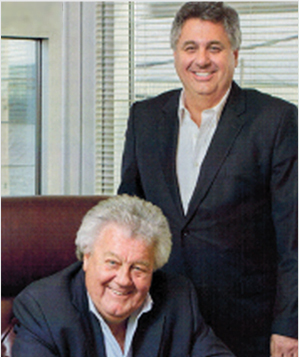 In 1965, Raymond Martel, with support from his brother Gilles, decided to start his own business. He began by selling – at construction sites – sandwiches prepared by his mother and his wife, Cécile. Many developments and acquisitions quickly followed this initial business initiative. Later, the company extended its scope of activities over a vast sales territory covering Quebec, Ontario, and the Maritimes. Today, Martel Group, whose head office is located in Terrebonne, is the top-ranking company in the sandwich and submarine industry, well ahead of its competition. The Group of business partners include five separate companies: Aliments Martel Foods, Excel Prix grossiste en alimentation, National Brands Distribution, Services Alimentaires MonChâteau, and Le Cookie Club as well as Méga Snack, a division of Excel Prix grossiste en alimentation. Active in the ready-to-eat food production industry. Importer and wholesaler of snack products serving vending machine food distributors, convenience stores, supermarkets, and grocery stores. Maker of cookies and muffins with a production facility in Laval. Specialty food wholesaler with four warehouse stores located in Laval, Anjou, St. Hubert, and Quebec City. Direct delivery service operating in the Maritimes, Quebec, and Ontario. Food services for industry, business, amphitheatres, institutions, events and school environment (elementary, secondary, college, university). Work in the manufacture of ready-to-eat vegan products. Interested in career opportunities with Martel Group? Would you like to pursue your professional development with a growing company that cares about the quality of its work environment? We’d certainly like to meet with you. Interest in our products? Contact us! Martel Group has been active since 1965 in the food industry. Feel free to contact us with any question or information request you may have.